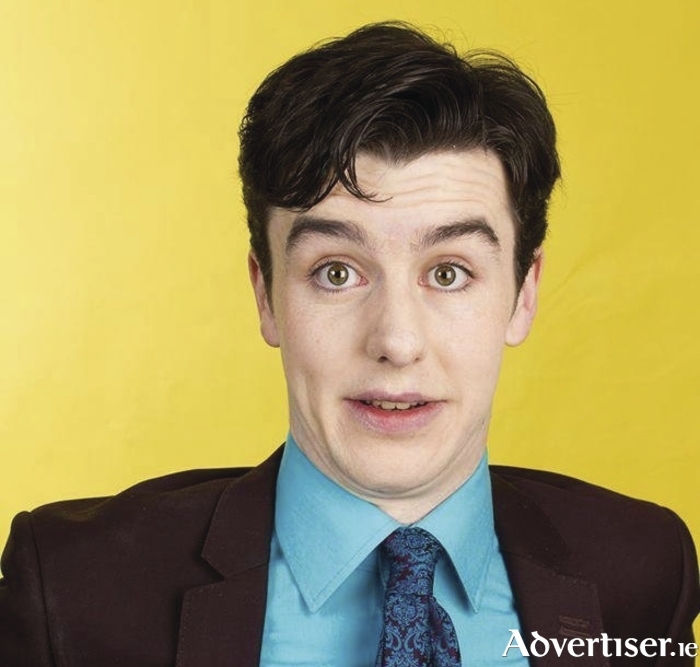 AL PORTER, the Dublin comedian declared "Ireland's ascendant king of camp" by the Irish Independent, returns to the Galway to play the Róisín Dubh this Sunday at 8.30pm as part of the Galway International Arts Festival. Porter, a regular on RTE’s Republic of Telly and on Colm Hayes' show on RTE 2fm, is bringing his show Al Porter Is Yours to the Dominick Street venue. It promises to a night of uproarious entertainment with stand-up, sketch, and song from a genuine showman, with a modern take on old school light entertainment. Though only 22, Porter has won the respect and admiration of seasoned Irish comics like David McSavage, who declared him to be "one of the few comedians that actually makes me laugh"; Jason Byrne called Porter "bleedin' gas"; while PJ Gallagher said he is “Hilarious! One of the nicest, funniest lads around”. The Irish Times described the Tallagh native's comedy style thus: "Think Frankie Howerd delivering acidic, innuendo-laden commentary as he sits on the Luas Red Line and you’re on the right track."